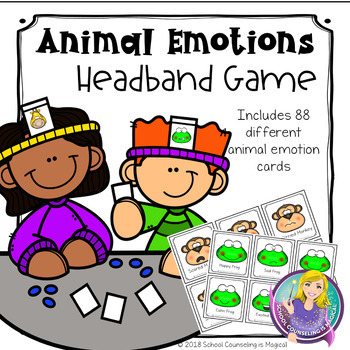 Teach kids to identify emotions with this fun animal-themed headband guessing game. Kids will put an emotion card on their headband and have to try and guess which emotion animal character they are wearing by asking yes/no questions. Example: Does my animal make lots of noise? Would my animal feel this way if he doesn’t have anyone to play with during recess? The game end after a designated amount of time or after someone has answered a certain number of emotion animal characters correctly. 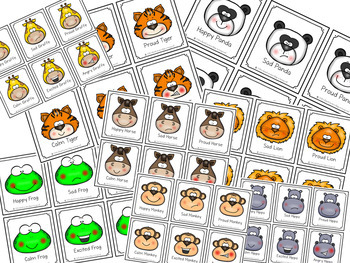 The person who guesses the most amount of emotion animal characters correctly, wins the game.